The Orient-Express, most glamorous of trains and epitome of stylish international travel, pulled in weekly at Folkestone Harbour until 2008. Tuttofuoco and two of his collaborators re-enacted the classic journey from Istanbul to Paris and Folkestone. FOLKESTONE, his large sculpture on the harbour arm, is the result of this journey. The individual ‘letters’ were chanced upon by the artist through social situations and incidents with people along the route. The best places from which to view the huge FOLKESTONE sculpture are from The East Cliff or Sunny Sands. Patrick Tuttofuoco is interested in how people interact with each other, the groups they form and the behaviours they follow, the towns and cities they design and live in. Journey of different types and lengths are therefore a rich source of inspiration for him. They open up the possibility of new encounters and experiences, both on a broad cultural level and on a more intimate, personal level. Tuttofuoco was excited to discover that Folkestone is a significant point on one of the world’s most glamorous and thrilling journeys: the point that passengers on the Orient Express enter and exit the UK. The train never physically crossed the Channel so the journey between London and Folkestone, was always completed (or started) in an English version of the Orient Express. This differs slightly from its continental counterpart, but elegance and tradition are consistent throughout, providing continuity along the rail route connecting Western Europe with Istanbul since 1883. Tuttofuoco and his travel companions, an architect and a filmmaker, followed the route of the train from Istanbul to Folkestone, almost as an act of pilgrimage. 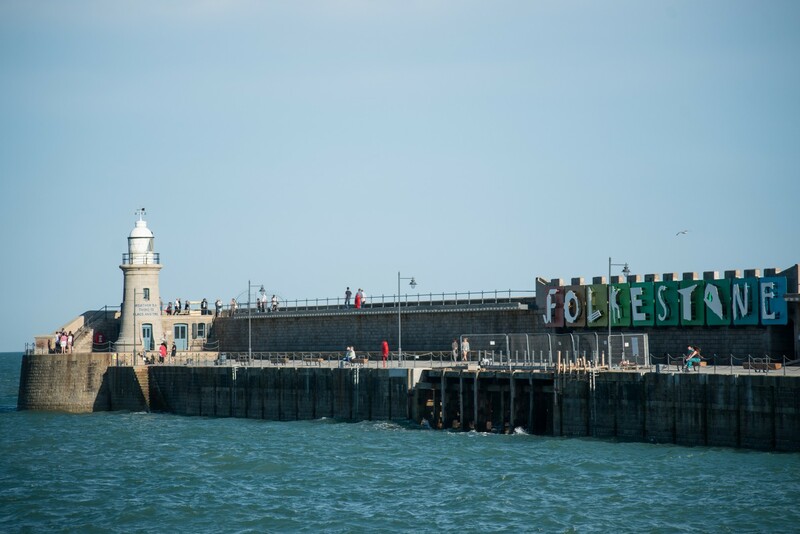 As a way of marking their trail, they collected a letter from each of the countries they passed through, which together would form the name Folkestone. Actively seeking ways of working with people along the way, each letter is the result of a unique meeting or collaboration, a symbol that stands for that leg of their journey. 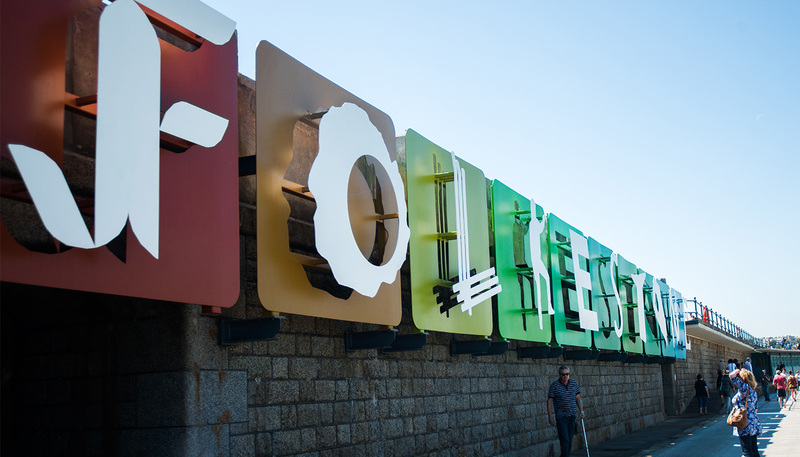 The letters forming the sculpture on the harbour wall represent a rich travel log condensed into a single word. The positioning of the sculpture allows Folkestone to announce itself proudly to anyone entering the town from the east.